26 May, NYC: Protest to support Palestinian prisoners' #DignityStrike and stop HP! 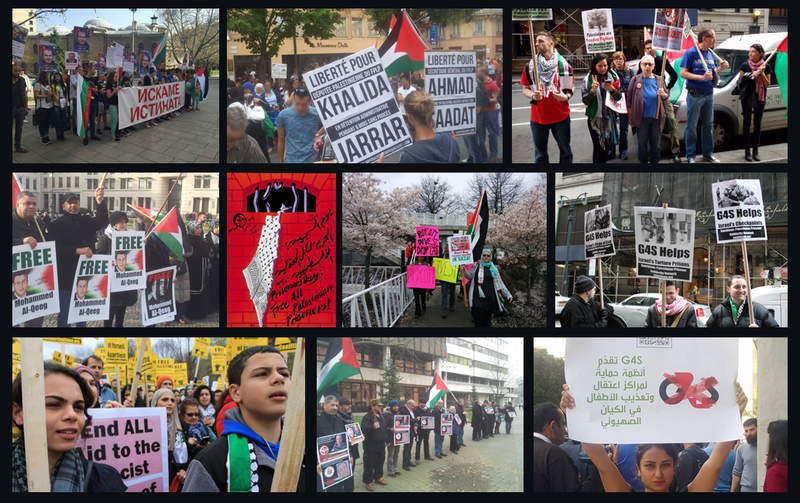 Home Events 26 May, NYC: Protest to support Palestinian prisoners’ #DignityStrike and stop HP! 26 May, NYC: Protest to support Palestinian prisoners’ #DignityStrike and stop HP! As Palestinian political prisoners end the 40th day of the Strike of Freedom and Dignity, their largest mass hunger strike in five years, rally to support their demands for an end to Israel’s policies of “administrative detention,” or indefinite internment of Palestinians without charge or trial, and solitary confinement, as well as improved access to health care, family visits, and education. Join a global day of action to support the hunger strike and demand a comprehensive military embargo of Israel over its political imprisonment and other crimes against Palestinians. Call on Hewlett Packard to end its contracts with Israeli prisons and detention centers, occupation and security forces, and checkpoints and settlements and build a growing boycott of the company. Support the Palestinian people, the Palestinian prisoners, the Palestinian Resistance, and the liberation of Palestine, from the river to the sea.